Planting a flower garden in planters certainly makes your yard more beautiful, but it can also be an enjoyable way to pass a warm afternoon. If you’re considering starting a flower garden, there are a few things you’ll want to keep in mind. Read on to learn the best gardening tips before you haul out the shovel and gardening gloves. Know the blooming period: Not all flowers bloom at the same time. While some varieties arrive in the spring, others bloom through the summer and even into the fall. If you want to enjoy your garden throughout the seasons, consider planting a mixture of flowers with different blooming periods. As the flowers alternate blossoming, your flower box will always have something in bloom. Choose between perennials and annuals: There are two types of flowers: those that return year after year (perennials) and those that bloom for one year only (annuals). If you prefer low-maintenance gardening, planting perennials that return year after year may be best for you. If you don’t mind replanting each year, mix some beautiful annuals into your garden. Planting annuals is also a great way to fill out your planter bed while waiting for new perennials to grow and populate. Plant native: Wherever you live, there are certain varieties of flowers and plants that are native to your climate. Native plants typically require less care than other plants and can help boost the ecosystem of your flower garden. They are naturally resistant to pests and other ailments, requiring you to use fewer chemicals which, in turn, benefits your garden and local wildlife. Be aware of shade and sun: Pay attentions to whether your flowers need sun, shade or partial shade. This will determine where in your garden you should plant them or where you should place your planter box. A good mix of shade and sun plants will keep your garden in full bloom, and will provide more diversity in your flower beds. Shade plants thrive under trees and in the shade of buildings, and full sun flowers are the perfect plants for patio planters. 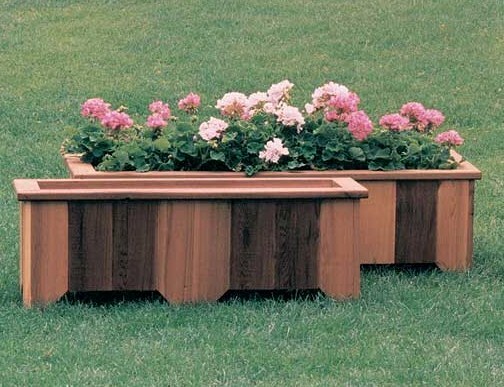 Get ready for spring with a handcrafted, cedar planter box! Wood Country sells a full selection of fine wood furniture online. 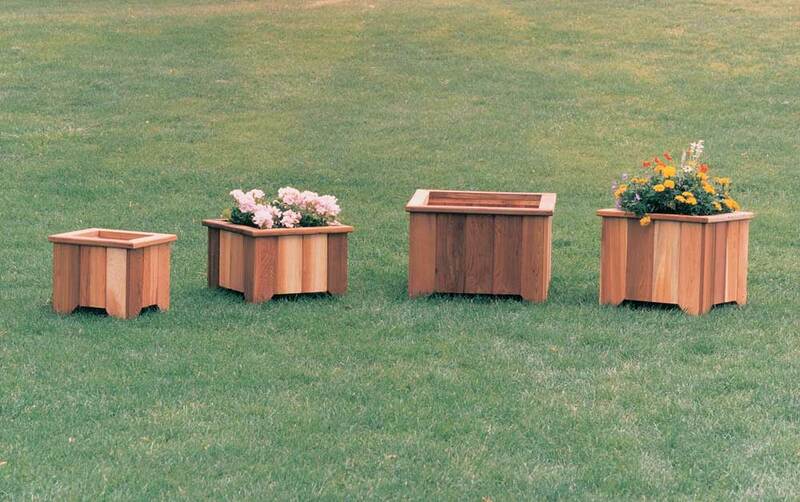 For the month of March, all our planter boxes are 5% OFF! Take advantage of these early spring savings now. Go to WoodCountry.com to Take a look and happy planting!